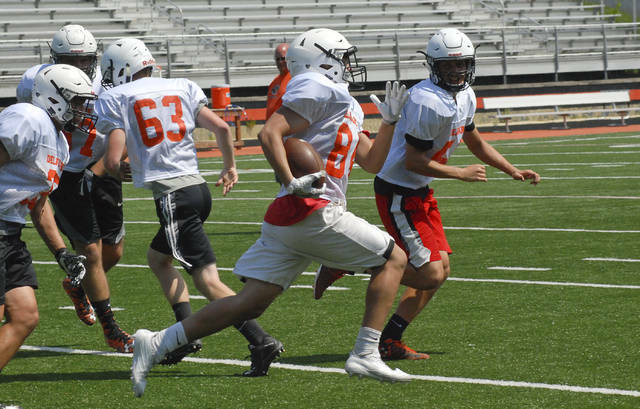 The opening day of the 2017 high school football season is just three weeks away and teams across Ohio started practice this week in preparation. Delaware Hayes player Keleb Shaw takes a lateral and makes a break around defensive players on Wednesday. It was the first day Hayes players wore pads in practice. The Pacers face Buckeye Valley in Week 1 of the new season on Friday, Aug. 25. This entry was tagged delaware, Football, Hayes. Bookmark the permalink.